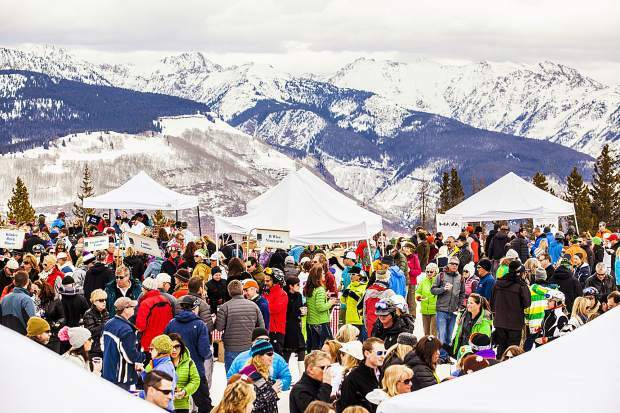 Taste of Vail is now offering tickets for the lowest prices of the season. Rates will go up beginning on Janurary 1, 2019. The Taste of Vail, a food and wine festival that invites dozens of winemakers and owners from all around the world to pour wine and interact with participants, is offering early ticket pricing for the April 2019 event. Food and wine lovers can save on tickets if they purchase tickets now through Dec. 31. The five-day festival attendees experience signature events designed to showcase iconic locations including the 2018 Debut of Rose, the American Lamb Cook-Off and Apres Ski Tasting, the Mountain Top Tasting and The Grand Tasting as well as seminars, intimate wine pop-ups, dinners and more. Debut of 2018 Rose: $50, in January, the price increases to $59. American Lamb Cook-Off: $65, in January, the price increases to $85. Mountain Top Tasting: $120, in January, the price increases to $150. The Grand Tasting: $175, in January, the price increases to $220. Signature Pass: $400 (Includes entry into the four signature events. Not valid for any seminars or winemaker pop-ups), in January, the price increases to $449.